DIN Standards are invented for a variety of components including industrial fasteners as DIN 302 Countersunk Head Rivets. DIN 302 Rivets are manufactured from Carbon Steel, Stainless Steel Grade A2 or A4, Brass, Alloy Steel, Copper, Plain steel or many other materials. 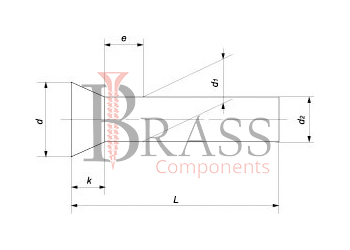 DIN 302 Rivets are available in a wide range of sizes, shapes and materials. The Design Features of DIN 302 Rivets ensure a smooth joint surface after installation. Complies ISO 1051 and GOST 10300. High Resistance to Vibration and Shock loads. Available with increase strength and reliability of riveting. Prevention of basic strength characteristics at critically low and high temperatures. The Rivet is mounted using a hammer by flattening the rod end. The protective coating provides anti-corrosion resistance and increase the service life of fasteners. DIN 302 Rivets ensures reliable fastening and connection of dissimilar materials. Available in variety of sizes for your specific requirements. Used to create a permanent connection between sheet materials for various purposes. Widely used for fixing solid materials and metal structures. For various applications in the field of Construction, Production, Instrument, Mechanical Engineering and Electrical. Provide Reliable and Strong Fastening of solid materials. Eliminates the change in the structure of the bonded materials, warping of the structures and deforming effect on adjacent elements. 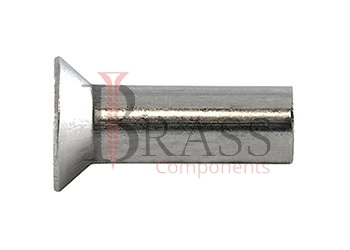 We manufacture DIN 302 Rivets as per Custom Specification and export in France, Italy, Switzerland, Poland, Greece, UK and other European Countries. For more Information, Please Contact Us or Inquiry Now.